Hube Dodd represents clients in both state and federal courts in both civil and criminal matters. Originally starting his career at Jaffe, Strickland & Drennan, he rose from junior associate to become that firm’s Managing Partner in 2009. In 2010, he founded The Dodd Law Firm, where he puts his extensive trial experience to work for a select group of clients. Mr. Dodd is rated AV-preeminent by Martindale Hubbell, their highest peer review rating for both professional ability and ethical standards. 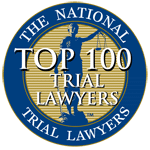 The National Trial Lawyers organization has named him both a Top 40 under 40 member and a Top 100 Trial Lawyer for both civil and criminal trials, the first lawyer in Alabama to have received that dual recognition. 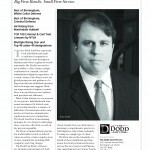 In 2014, Hube Dodd was recognized by the Superlawyer’s Group and Business Alabama Magazine as one of the State of Alabama’s Superlawyers for criminal defense, having previously been designated as one of the state’s “Outstanding Young Lawyers” in their Rising Star section from 2010-2013. 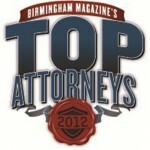 Mr. Dodd was named by Birmingham Magazine as one of the region’s Top White Collar Defense Lawyers as well as a Top Criminal Defense Lawyer in a peer review survey of area attorneys. He was also designated as one of the Region’s Rising Stars by that publication. Mr. Dodd was one of the original 75 attorneys to be named to the Federal Northern District of Alabama’s CJA panel. Dodd was invited to attended the prestigious Bryan R. Shechmeister Death Penalty College at Santa Clara University in California, and recently co-authored a chapter in “Defending DUI Vehicular Homicide Cases”, a practitioner’s handbook published by Thompson West. In addition to his extensive experience and training in the area of criminal defense, Mr. Dodd frequently practices in the area of civil defense representing both municipal and corporate clients. Mr. Dodd served as civil defense counsel for Birmingham’s Mayor Bernard Kincaid, and has represented numerous professionals, such as pharmacists, nurses and other lawyers in administrative hearings in front of various state licensing boards. Mr. Dodd is also one of the lawyers retained by the Policeman’s Benevolent Association to represent its members. His corporate clients have included everyone from banks and pharmaceutical companies to the world famous Garage Cafe. Mr. Dodd has represented injured plaintiffs in both state and federal courts as well, having served as lead trial counsel in a number of personal injury cases. It is the breadth of Mr. Dodd’s practice and experience that allows him to provide each of The Dodd Law Firm’s clients with a unique, global perspective. In law school, Mr. Dodd was awarded the Dean Thomas W. Christopher award for Lasting Contribution to the Law School, as well as the George Peach Taylor award for his role on the school’s Trial Advocacy competition team. Prior to enrolling in law school, Mr. Dodd served as New Business Director for the New York advertising firm of Gold Communications. 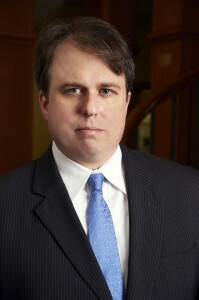 He is married to Sandy Dodd, who serves as the general counsel for Bruno Events Team in Birmingham, AL. Call The Dodd Law Office at (205) 327-8388 or fill out the contact form provided here to speak with an aggressive criminal defense attorney and personal injury lawyer.